Barrie Endoscopy was established in September of 2007, by a group of ten local physicians. Our goal is to provide enhanced access to state of the art, expert, endoscopic care, in a comfortable, safe, out of hospital setting. 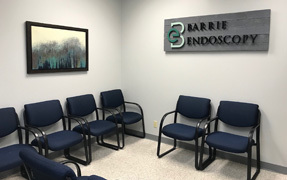 The Barrie Endoscopy team currently consists of eleven endoscopists (5 Gastroenterologist, 6 General Surgeons), a highly qualified group of Anesthesiologists, excellent endoscopy nurses, and an administrative team led by our Clinic Manager, Troy DeHart. 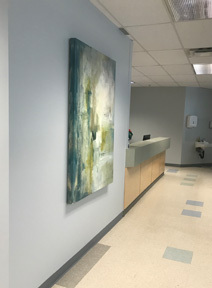 In conjunction to Barrie Endoscopy all of our physicians have active staff privileges at Royal Victoria Hospital in Barrie and perform similar procedures in a more acute care hospital setting. Patients with intestinal disease, those with complicated medical conditions and those who require specialized procedures will continue to have their procedures performed at Royal Victoria Hospital by these same physicians. At Barrie Endoscopy we take pride in all we do. Our ultimate goal is to provide exceptional care ensuring patient needs are met, alleviate stress related to endoscopy care, and surpass patient expectations.